Daimler Trucks, the world’s largest commercial vehicle manufacturer, has recently handed over the world’s first all-electric light-duty (7.5-tonne) truck in series production, the Fuso eCanter, to some UK customers. 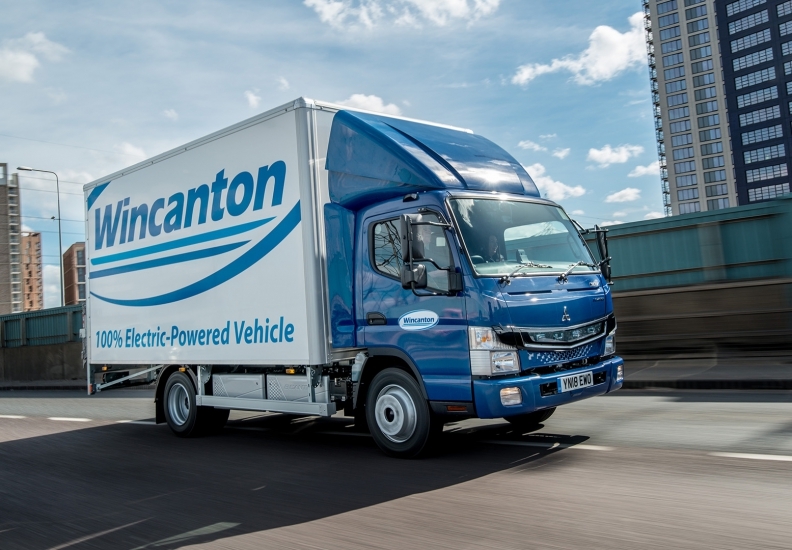 The three customers to operate the all-new Fuso eCanter in the UK are delivery firm DPD, flour milling giant Hovis and logistics business Wincanton PLC. Especially engineered for urban distribution systems, the eCanter will play an important part of these companies’ environmentally-friendly credentials. The eCanter has a GVW of 7.49 tons and a payload of up to 4.5 tons depending on body and use case. Powered by six high-voltage lithium-ion batteries with 420 V and 13.8 kWh each, the electric drivetrain with a permanent-magnet-motor delivers 129 kW (180hp) via a single-gear transmission in the rear axle. A single charge allows effective operating ranges of over 100km, which is more than enough for inner-city distribution. With the emission-free eCanter, customers not only contribute in shaping a sustainable urban environment, but are able to reduce their operational costs by up to 1,000 Euro for every 10,000 kilometres they use the vehicles, compared to conventional diesel trucks. DPD is an international delivery business distributing 4.8 million parcels per day in over 200 countries worldwide. 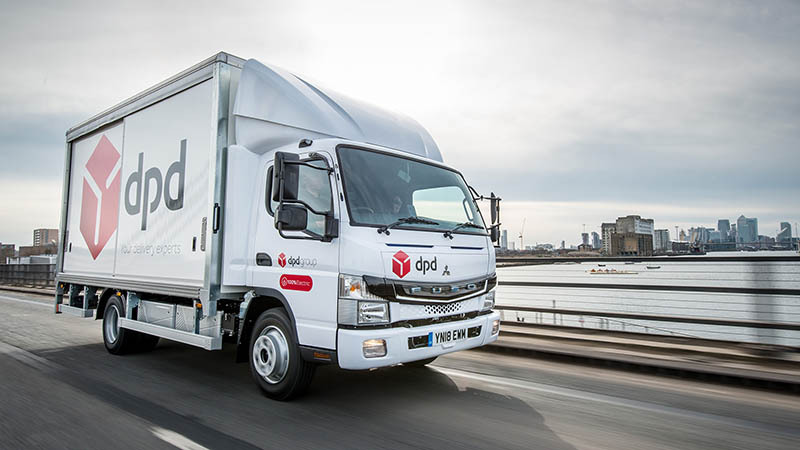 In the UK, DPD employs over 6,000 people and operates 2,340 vehicles in its fleet. The logistics business is going to operate two FUSO eCanters for the first two years. Hovis is a baking and flour milling business headquartered in High Wycombe, employing around 3,200 people at bakeries, flour mills and distribution centres in the UK. Its milling business processes over 800,000 tons of wheat per year, supplying flour to craft and industrial bakers across the UK and Ireland. Hovis will run two vehicles initially. 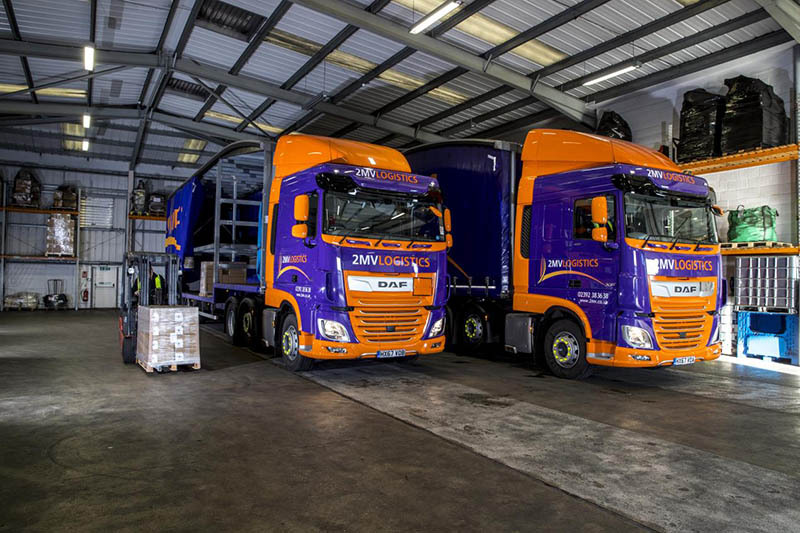 Wincanton PLC is Britain’s largest logistics firm with approximately 17,500 employees at more than 200 sites. It will add five FUSO eCanter trucks to its fleet of 3,600 vehicles, and the company aims to develop a UK-wide sustainable road transport and distribution system. With years of extensive development and over 90,000 kilometers of thorough testing in Europe and Japan, the eCanter is the world’s first all-electric light-duty truck in series-production. 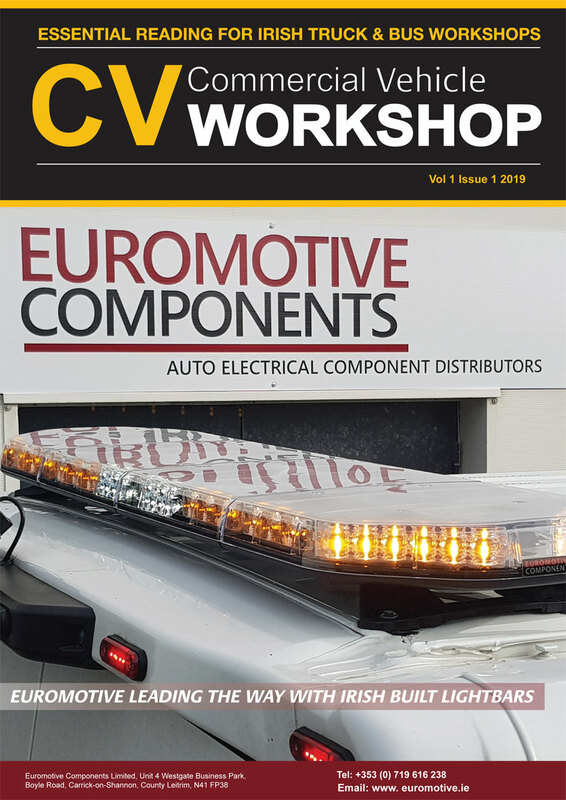 The eCanter was developed by Mitsubishi Fuso Truck & Bus Corp. (MFTBC) and is produced in Tramagal, Portugal for the European and US markets and in Kawasaki, Japan for customers in Asia. Following its global launch in New York in September 2017, the first eCanter vehicles were committed for delivery to companies such as UPS in the US, Yamato and 7-Eleven in Japan, and DHL, DB Schenker, Rhenus and Dachser in Germany. FUSO has a long history in the development of alternative drivetrains. The Canter Eco-Hybrid has been in production since 2005, offering customers a light-duty truck with a hybrid drivetrain. At the International Motor Show (IAA) 2010 for commercial vehicles in Germany, Fuso presented the Canter E-Cell, a prototype of an electric Canter. This was followed by extensive customer testing in Portugal and Germany between 2014 and 2017. In 2017, MFTBC launched E-Fuso, a product brand exclusively dedicated to electric trucks and buses. Over the course of the next years, Fuso is committed to incrementally electrifying its entire product portfolio depending on feasibility and technological advancements. Here, Daimler’s vast pool of resources and know-how in the electrification of vehicles comes to the fore.